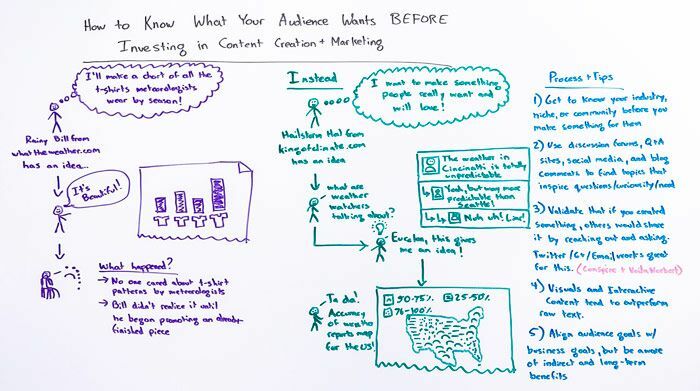 Content marketing is an iterative process: We learn and improve by analyzing the success of the things we produce. That doesn't mean, though, that we shouldn't set ourselves up for that success in the first place, and the best way to do that is by knowing what our audiences want before we actually go through the effort to create it. In today's Whiteboard Friday, Rand (along with his stick-figure friends Rainy Bill and Hailstorm Hal) explains how we can stack our own decks in our favor with that knowledge.